E. Dake Plumbing & Heating is proud to serve the Geneva community! About Geneva, OH - Happy to be your hometown Heating & Air Conditioning Contractor! In the early 19th century, Northwestern Ohio was in the process of sorting itself into cities and townships, which is howGeneva came into existence. As Ashtabula County was divided, some settlers began to build housing along Cowles Creek and declared the settlement Geneva, after Geneva, New York. This beautiful location has transformed from a small settlement to a populous city, though it still retains the exceptional geography and climate that made it so desirable over two hundred years ago. Geneva, Ohio is one of the most desirable places in which to spend a summer vacation, and proudly offers tourists a one of a kind coastal resort. Geneva on the Lake is the first resort to be built in Ohio and offers residents and out of state visitors a huge variety of entertainment. With options like camping, boating, golfing, fishing or enjoying the nightlife at carnivals, nightclubs, live music, and restaurants, Geneva on the Lake has something for everyone. Another way for people to enjoy some time in the ideal summer weather is to take a trip to visit Geneva State Park. The park offers cabins, lodges, and RV hook-ups to suit the needs of all types of visitors. The park is open all year long and available for camping, fishing, and boating during the summer, hunting in the autumn, and snowmobiling, cross country skiing, and ice fishing in the winters. Although the summers are noted for their beautiful weather, the winters are also mild, and generally offer freezing temperatures only two-three months out of the year. Other attractions include golfing at beautiful Deer Lake Golf Course, which is open to the public and offers a full 18 holes, or perhaps taking in history at some of the museums and memorials that are prevalent in Geneva. Shandy Hall was the home of a once prominent family in Geneva. Built in 1815, the home retains its original architecture and showcases the way an American family would have lived around the turn of the 19th century. 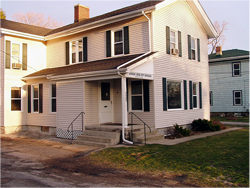 The Madison Historical Society and Museum is another way to experience the history of the northern counties in Ohio and learn more about an important time in America’s development.